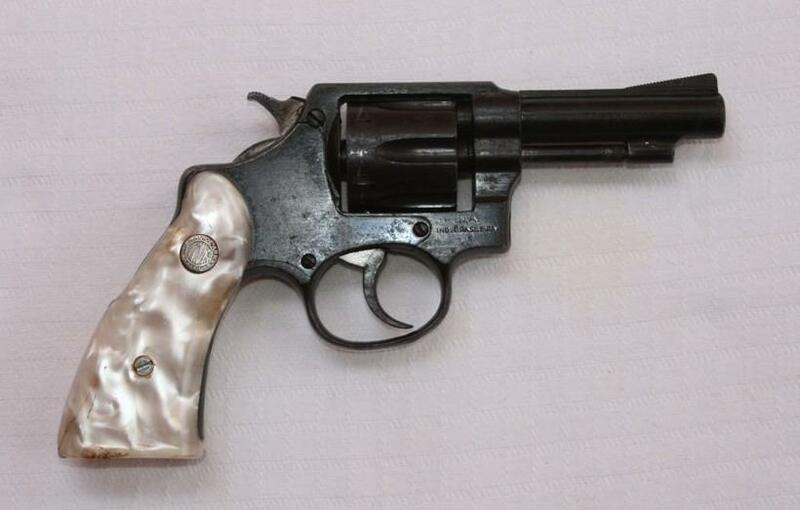 Here is an antique revolver INA who was made here past times. That factory was closed in 1964. 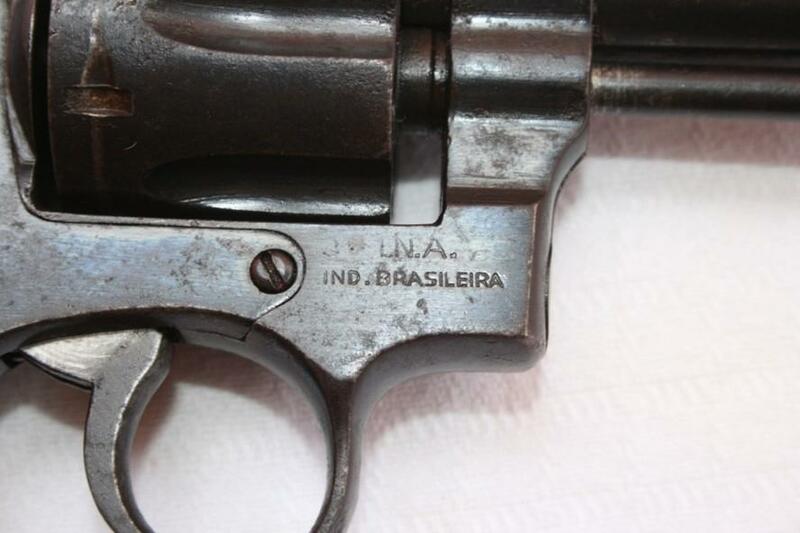 INA (Industria Brasileira de Armas ) existed in São Paulo city , and made others firearms, like pistols and little 357 revolver. 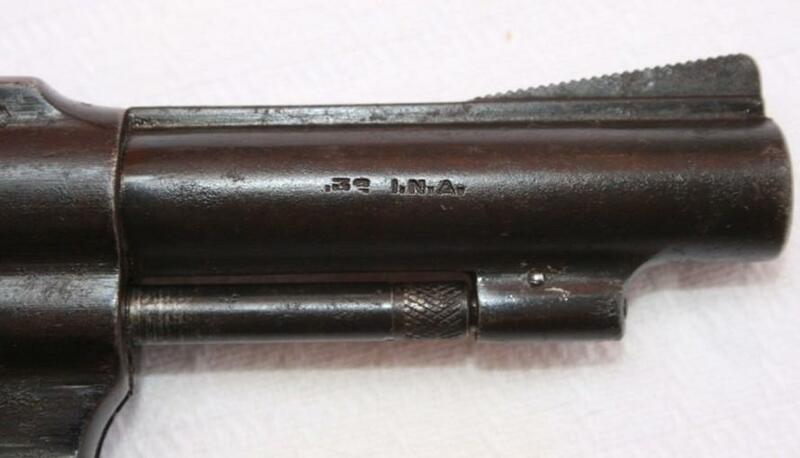 The principal product was a submachine gun, copy of Madsen, but in .45 calibre, used by Brazilian army. 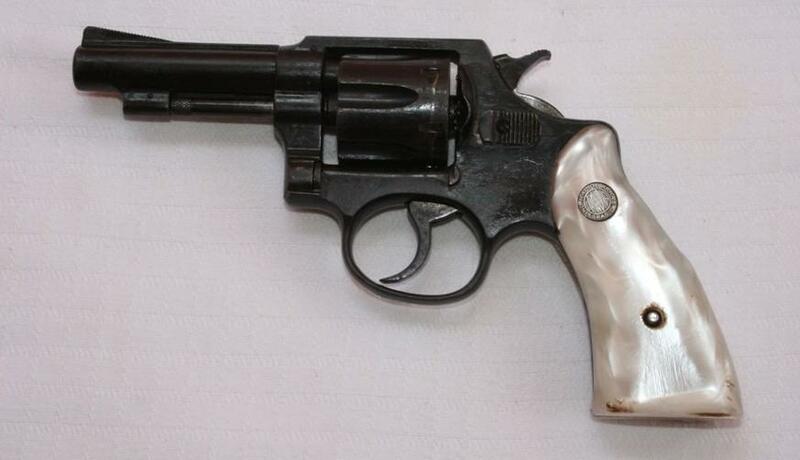 And was used for Brazilian police not so long time ago, and many was change for 9 mm too. Today is thing of collection. Will to see if localize one for photos.